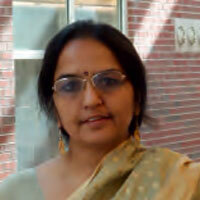 Amita Sinha is Professor in the Department of Landscape Architecture at the University of Illinois at Urbana Champaign, USA. Her landscape heritage projects in India include: Sarnath, Taj Mahal, Champaner-Pavagadh in Gujarat, Rockfort in Tiruchirapalli, Gomti Riverfront in Lucknow, Delhi Ridge, Govardhan Hill and Yamuna Riverfront in Braj, Orchha, and Amber. She is the author of Landscapes in India: Forms and Meanings (University Press of Colorado, 2006), editor of Landscape Perception (Academic Press, 1995) and Delhi’s Natural Heritage (USIEF and INTACH, 2009). The article outlines three generations of design theories and methods based upon review of two volumes: Jean-Pierre Protzen and David J. Harris. The Universe of Design: Horst Rittel’s Theories of Design and Planning. Routledge, 2010; and Non-Essential Knowledge for New Architecture (ed.) David L. Hays. 306090 Inc. 2013. Design paradigms outlined in the two volumes are based upon ways of thinking, linear and lateral, convergent and divergent. They are reflected in methods developed to solve problems: algorithms, argumentation, and grounded speculations. The first generation was based upon linear thinking and technical rationality; second generation acknowledged design as a wicked problem and used argumentation as a method; and the third generation advocates lateral thinking.